The WePad made headlines a few weeks back when the tablet launched out of seemingly nowhere. 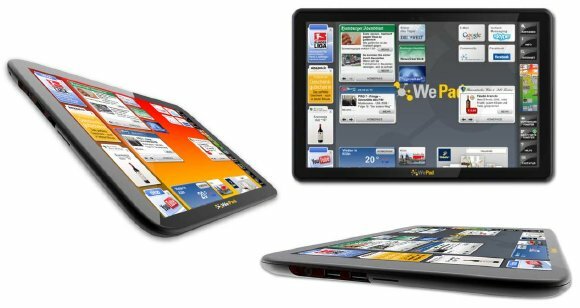 It’s really the anti-iPad with multitasking, Flash, SD card slot, USB, along with the Android Marketplace, but while maintaining Apple’s sleek design. But the pricing and availability wasn’t mentioned with the hardware specs. The company just went public with those deets’ along with announcing Intel and Adobe as official WePad partners. Just like the iPad, there will be a two different models available. The WiFi with 16GB of memory will retail for € 449 while the fully-spec’d 32GB, 3G model that also includes GPS and a full HD 1080p display will cost €569. A soft launch is scheduled for July with full availability shortly after that.